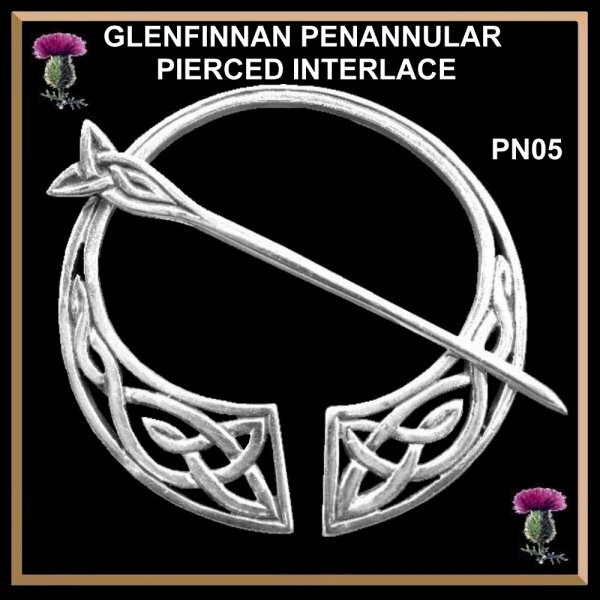 This hand cast piece has the classic Celtic pierced out interlace pattern flowing down both of the arms of the penannular with a matching design on the top of the pin stem. Simply outstanding Celtic art. The Celtic interlace pattern is the symbol of eternal life. The original inspiration for this design was made by John Hart, one of the apprentices of Alexander Ritchie who worked on the Scottish Holy Isle of Iona c1910-40. This beautiful sterling silver penannular measures 2" (50mm) across the body of the penannular and the pin is longer. A timeless design for the millennium worn today as in centuries past. A larger design so that it can be worn on a sweater, jacket or kilt.